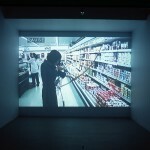 Internationally acclaimed German artist Christian Jankowski, who first came to public attention with Telemistica at the 1999 Venice Biennale and, more recently, The Holy Artwork at the 2002 Whitney Biennial in New York, presents Rosa (2001), a humorous and insightful film that investigates the relationship between art and the advertising and entertainment industries. Rosa is a romantic comedy about the exploitation and commercialization of a young artist’s performance work. The film follows a standard narrative format, except that, during the film, the actors occasionally break from character mid-scene to discuss the pressing issues of contemporary art. A special screening of Jankowski’s The Holy Artwork (2001), which intersects art with religion through a Texas televangelist’s sermon, will also be held (date to be determined). It is a film based on a film based on two performance videos. 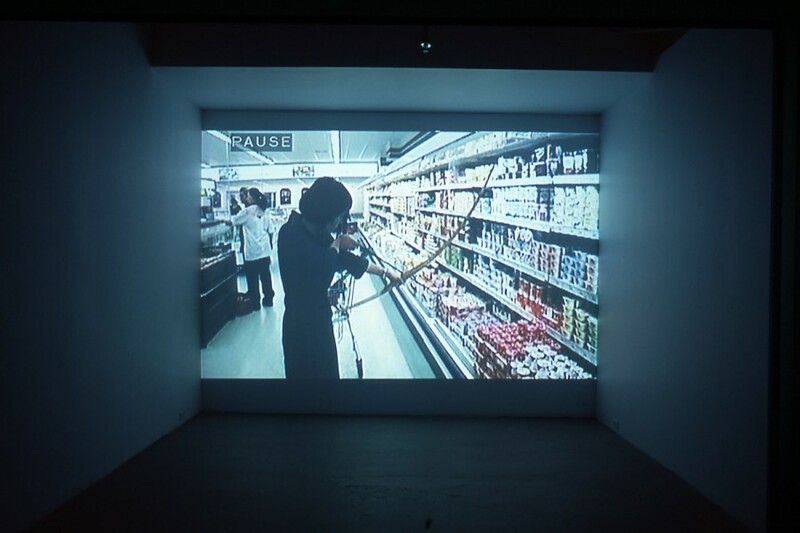 To begin, there is The Hunt (Die Jagd) (1992) which documents Christian Jankowski on a shopping spree, selecting products by piercing them with a bow and arrow. One could interpret this as a guerilla action against the commodified and un-naturalized process of foraging for food were it not that Jankowski rolls his cart up to the checkout counter, just like everyone else, a good capitalist. Then, there is My Live as a Dove (Mein Leben als Taube), an exhibition at Lokaal 01, Antwerp in 1996 for which a magician transformed Jankowski into a dove as part of the opening reception. The artist remained on display as a snowy white dove for the duration of the show, only reverting to his usual, featherless self at the end of its four week run. Six years later came Lars Kraume’s feature film Viktor Vogel: Commercial Man (re-titled Advertising Rules for North American distribution), which includes remakes of The Hunt and My Life as a Dove and falls into the genre of romantic comedy. About the exploitation and commercialization of a young artist’s work, Viktor Vogel is now available at your local video store. No love lost here though — Kraume approached the artist about using the ideas behind The Hunt and My Life as a Dove in Viktor Vogel. 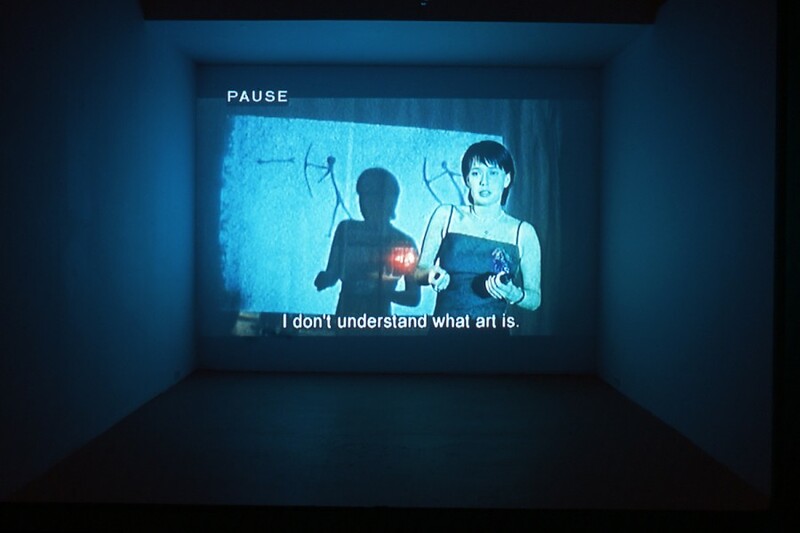 Jankowski agreed, but with the stipulation that he would be permitted to produce and distribute an artwork based on Kraume’s film — hence, Jankowski’s Rosa (2001). Rosa pulls seven scenes from Viktor Vogel to form an almost identical narrative. However, within each of the scenes the actors break from character to personally respond to questions posed by Jankowski about the nature and meaning of art. They respond with varying degrees of acuity. Addressing the camera directly, some of the actors’ responses are charmingly confused jumbles of ideas and others are fairly succinct pronouncements. In the end, most of the actors improvised ruminations are more illuminating than anything they say as characters in the film. In the past, Jankowski has invited children, amateur actors, psychics and other professionals (normally individuals who are unaccustomed to being asked their opinions about art) to participate in his practice. Casting them in odd or unusual roles or inviting them to participate in their ‘real-life’ roles (often positions of authority), the participants in his work have re-enacted discussions between well-known artists and curators, provided Jankowski with professional consultations on his success or failure as an artist, and recited personal email correspondence in make-shift settings. Through Rosa, Jankowski’s problematic involvement with the entertainment industry becomes an opportunity to create an intervention allowing the actors in the film to speak for themselves. The worlds of art and religion are reunited in Jankowski’s The Holy Artwork (2001), a 19-minute video which will be screened on Friday, October 4 at Mercer Union. Jankowski produced The Holy Artwork during a residency at ArtPace in San Antonio, Texas. In it, a local televangelist preaches to his congregation about the value of creativity in relation to spirituality. The broadcast begins from Jankowski’s perspective as he sits in the audience holding a handheld camera. He is introduced by the pastor, but just as Jankowski gets to the stage, he collapses on the floor. The view then switches to the TV studio cameras and the televangilists sermon begins. Jankowski remains comatose on the stage, while the pastor takes us through a lengthy treatise on the importance of enriching the spirit through creativity and encourages his congregation to become more appreciative of contemporary art. “Let this holy art be a bridge between art, religion and television,” states the pastor. Jankowski could ask for nothing more.